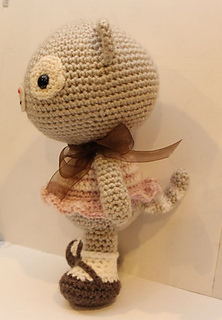 Calliope Cat is an adorable character that you must add to your amigurumi collection! 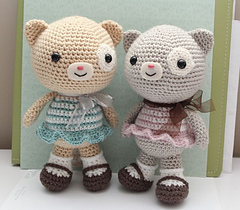 She’s cute and girly, and fun to make! 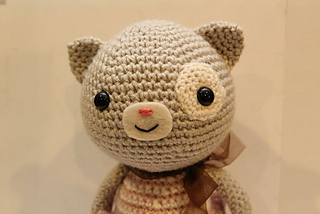 Basic crochet knowledge is needed, as well as familiarity with making a magic ring, crocheting in rounds, increasing, and decreasing. The pattern is easy to follow and great for beginners! 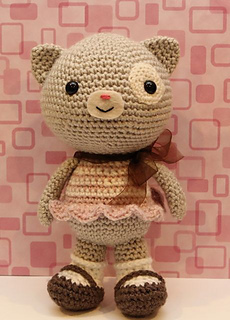 When made with worsted weight yarn and a G hook, this doll is about 9.5” tall. Of course this will vary with your yarn type and hook size!